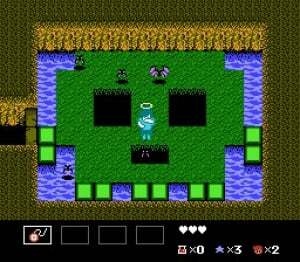 On first sight, StarTropics looks eerily like Zelda (in fact, when you start it up, there's the same name entry screen!). So you might be thinking, what's all the fuss about? 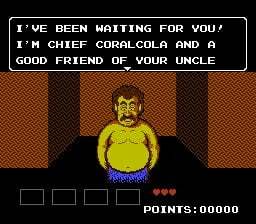 StarTropics is about a typical American teenager, Mike Jones, who heads to the tropics to meet his archaeologist uncle after receiving a letter. When he reaches C-Island, the location of Dr. Jones's lab, he finds his uncle missing and sets out in the lab's submarine to search for him. Eventually he learns that alien invader, Zoda, is threatening to destroy the Earth and there is no one else to stop him!. 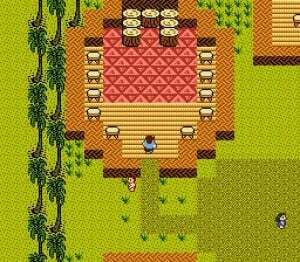 The overworld plays similar to many RPGs. There are no enemies to be fought or any random encounters, all you do is walk around and talk to people. As in Zelda, you occasionally find a heart container to increase your maximum life. When you enter a dungeon, though, it gets mixed up a bit. While at first sight this also looks similar to the original Zelda's gameplay, it's in fact quite a bit different. This is mostly because Mike's more agile than Link and is able to jump across gaps (but only gaps that are one space wide - don't try for more!) or to avoid enemies. Mike's main weapon is a yo-yo, which extends two spaces in front of him. Later on, he can upgrade it to a flail and a supernova (a type of magic shot) which shoot further. However, if your health drops low enough, your weapon will downgrade until you restore life! The dungeons all have a tropical look, unlike Zelda's bland dungeons which have the same colours in every room. To progress you must do similar things to Zelda - kill all enemies, find hidden switches, you know the drill. In this game switches are activated slightly differently - you must first jump on green tiles in a room. If there's a hidden switch, a button will appear nearby. Press that and something happens. To beat the bad guys, Mike has a few more tricks up his sleeve. Dungeons contain special extra weapons, such as baseball bats and balls, torches, bolas, slingshots, ray guns and more. However, these have limited uses, so make every shot count! Mike can also find extra lives, medicine (restores 5 hearts), pills (restore full health), and a few other items. The game is divided into eight chapters, each with at least one major dungeon and a boss. The dungeons can get really tough later, and beating them all is a huge accomplishment. The graphics are nothing special, but there are some cutscenes with fairly detailed characters talking to you. Everything does look like it belongs in the tropics, as it should. 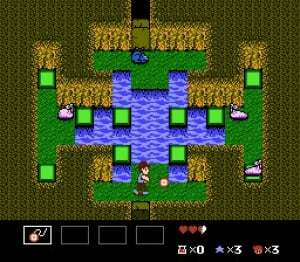 StarTropics may come off as The Legend of Zelda: Island Edition, but that's far from the truth. It has a very cool style, and, if you may prefer it to Zelda. The only downside is Mike's controls - he can only walk in the four directions, with no diagonal movement, and has to stop to change direction. It's a small complaint as you'll get used to it fast. The music has a very distinctive tropical style, and most people find it pretty good. The game got a sequel, although it was only released in the US, near the end of the NES's life. After it, the franchise sadly faded into obscurity. So, pitch in 500 Wii Points and buy this and the sequel - maybe Nintendo will take notice and revive the franchise! One interesting tidbit - The original game came packaged with the actual invitation from Dr. Jones to come to the tropics. This letter is actually NEEDED later in the game, as you must dip it in water to reveal a secret code which you need in order to progress. Nintendo have gotten around this quirk by including the letter within the digital manual. You can click the letter, which dips it in a virtual bucket of water, giving you the code. Classic game, shoulda been a 9 at least, imo, not that anybody cares. I've built myself a reputation as something of a StarTropics fanboy, anyway. This has "Saturday Morning Cartoon" written all over it, to me. The first time I played this game when I was a kid I couldn't get into it. I think the reason was because it was a game that looked like light-hearted fun and yet plays surprisingly clunky and punishing. So many situations where you attack common enemies are just absurdly awkward; you often have to bait enemies to come at you from the right direction that gives the best opportunity to get hits in before they reach you. This can actually play out as sort ot the weirdest kind of strategizing you've ever seen--somehow I think slightly of Gain Ground, here--feeling like a coincidental stroke of genius. Viewed in the right light, it's great fun and all the positive comments around here are really true if it doesn't come across as bizarre. It was obviously supposed to be an "American Zelda" and ironically ended up being even more strange to its intended audience than its "foreign" influence. This is anything but a generic Zelda clone! It has a great style and personality all it's own, and I love it! The bizarreness only adds to the charm and playability, and the dungeons were also really cool. The story itself is throwaway, but the dialouge is funny and interesting. Good game! hmm, stuffgamer, its interesting that you are a "star tropics fanboy". I notice you seem to be a big Mother fan, and its funny in a way that these two franchises had polar opposite goals. 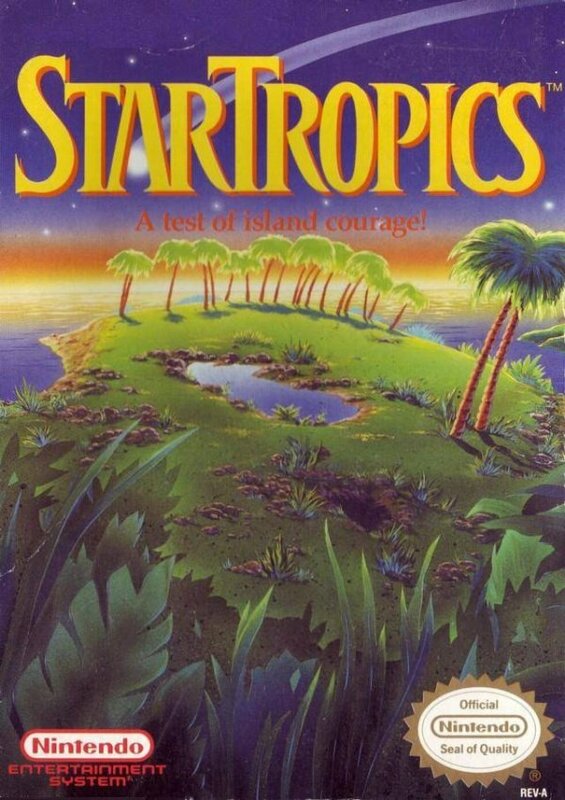 From my reading on the game, Star Tropics looks to be Nintendo trying to make a game specifically for the American market, so much so that it never came out in Japan. Mother on the other hand was made as a parody on American culture through the eyes of the Japanese creators, and most of them never came out here. Interesting i think. Oh, and I finally got StarTropics, and I have to say, it's a lot better than I expected. It's still incredibly hard, but it's always fair, and every death felt like they were 100% my fault, and all I had to do was make sure I got it right next time. It was never frustrating and always a lot of fun. Also, normally I complain when a Zelda-esque game spends too much time in dungeons solving puzzles instead of being out in the overworld exploring, but in StarTropics, I find the puzzles to be really clever, and incredibly satisfying to solve. I was really pleasantly surprised by it, and it certainly was a great pick to use my free NES game on. Great game that improves on the Zelda formula by adding jumping mechanics, traps, and more puzzles to the dungeons. It does deserve a 9/10 in my book. That virtual bucket of water bit is really trippy. Hahaha! I know this is a bit late ... but I really hope we get this on the Wii U VC soon. I can't believe that Nintendo hasn't made a significant effort to have parity between Wii and the Wii U Virtual console service. Even if we don't get Neo Geo and the other cool stuff, there is no excuse not to get NE, SNES, N64, etc. If it didn't downgrade your weapon and fixed the clunky movements it'd be a good classic. I have fond memories of playing this. In fact I'm playing it on the NES Classic now.